Travis and Bob, Tell Him No. It's the lamest jealous boyfriends on record. Are they even dating this poor girl? 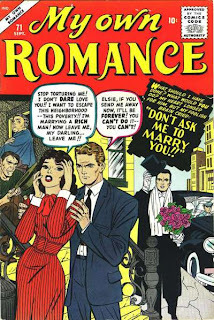 After all, while Travis and Bob desperately warn the girl not to fall for the suave guy's charms, not to take his ring, and, basically, not to sleep with him, they don't seem to offer much in return. Nothing like "'cause I'm the guy who really loves you, baby." Not even a ring of their own. Just gentle nagging and the sort of advice you'd get from a maiden aunt. And did you thrill to his charms? When he held you in his arms? I think the answer might have been a resounding "YES!!!" from the girl in question. As Everly Brothers knock-offs go, "Tell Him No" is one of the best. 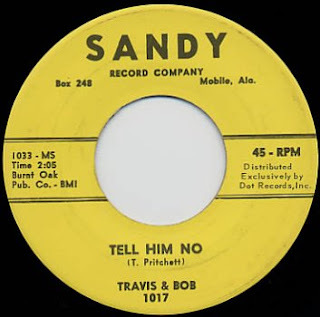 Travis Pritchett and Bob Weaver were both from Jackson, Alabama, and "Tell Him No" was their first single and only hit. They were signed by Sandy Records, a Mobile label so tiny it operated via a PO box. Sandy's founders were a country singer, John Bozeman, and local DJ Paul Du Bose. They considered Sandy to be the equivalent of the local newspaper--featuring only small, hometown acts, who primarily played either rockabilly or country. Then "Tell Him No" began hitting wide by spring 1959, forcing Sandy to enter a distribution deal with Dot, and then watch as two copycat records immediately were issued, by the Jackson Brothers on Atlantic and by Dean and Marc on Bullseye. While Travis & Bob's original charted the highest (#8 on the national charts), Dean and Marc's outsold it. Travis & Bob were courted by the Everlys' manager and publisher Wesley Rose, who was looking for a replacement act--the Everlys were dumping him--but Weaver reportedly distrusted the music industry, refused to sign, and the pair broke up soon afterward. (There's allegedly a complete Travis & Bob LP that was never released.) Pritchett kept on as a solo act, but by the late '60s he was selling insurance. Recorded at Singing River Studio in Biloxi, Miss., and released in March 1959 as Sandy 1017. On Golden Age of American Rock & Roll Vol. 5. "my heart longed for him, but my foolish brain cried!" Lonesome Sundown, Gonna Stick To You Baby. Jimmy Reed, Take Out Some Insurance. 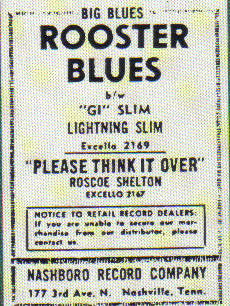 First, here are two swamp blues records from Nashville's Excello, both of which were recorded at Jay D. Miller's studio in Crowley, Louisiana, and featured the regulars who had worked there for much of the '50s. Lonesome Sundown, a contender for having the greatest blues name ever, was born Cornelius Green, and he first got attention as one of Clifton Chenier's guitarists. From '56 on, Sundown recorded a number of tracks for Excello--"Gonna Stick to You Baby" is his best, all bluster and assurance, anchored by Sundown's guitar and seasoned by Lazy Lester's harmonica. "Gonna Stick to You Baby" was recorded in May 1959 and released as Excello 2163, with Miller's usual gang on backup, including Leroy Washington (g), Merton Thibodeaux (p) and Warren Storm (d). On I'm a Mojo Man. Lightnin' Slim was born Otis Hicks in 1913. He was from St. Francisville, Louisiana, and after the war he started playing bars in Baton Rouge, sometimes working with Slim Harpo. He recorded for Excello for almost a decade, from the mid-'50s to the mid-'60s, when he moved to Detroit (where he died of cancer in 1974). "Rooster Blues" is heavy (Kenneth Semple's drums sound like mortars going off), relentless and sung by Slim with a nice dusty tone. Recorded in September '59 and released as Excello 2169, with much the same backing group as the Lonesome Sundown track. On Rooster Blues/Bell Ringer. Hopkins' brand of electric blues had begun losing favor with black audiences by the late '50s, and so, quite savvily, Hopkins recast himself as a "folk" musician, going acoustic and finding an eager new audience of college students and various musical purists. His transformation worked marvels--at one point in the early '70s, Hopkins played a command performance for Queen Elizabeth II. I don't think the gloriously dirty blues "Fan It" was on the set list that night. Recorded on January 16, 1959; on The Very Best. Jimmy Reed didn't think much of "Take Out Some Insurance," in great part because he didn't write it, but it's one of his finer recordings, sung wryly by Reed (who at the time was turning up on stage viciously drunk, which in turn was exacerbating his epilepsy); it has the sort of easy groove you could get swallowed up in. Recorded in Chicago on March 26, 1959, and released a month later as Vee-Jay 314. 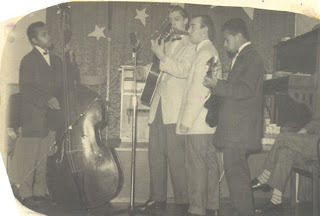 With Lefty Bates (g), Eddie Taylor (b) and Earl Phillips (d). On Boss Man. The Browns, The Three Bells. "Les Trois Cloches," a chanson written by Jean Villard Gilles during the last days of Vichy France, and made eternal by Edith Piaf, is transformed some years later by a trio from Pine Bluff, Arkansas; in their version, Jim Ed Brown recounts his birth, his marriage and his death, serenaded into the void by his two sisters. Call it folk music. Released as RCA 7555 c/w "Heaven Fell Last Night"; On Classic Country, though if you'd like to hear everything the Browns ever recorded, here's the set for you. Titus Turner, We Told You Not To Marry. Odea Matthews, Five Long Years For One Man. All the girls on the block wondered: why did Johnny marry Bonnie? Johnny was popular enough at school, though maybe he laughed too loudly, but he went completely off his head for the first girl to really look at him. Bonnie was short and had slightly buck teeth--the line was that she had a "great personality." Still, one day in March, Bonnie and Johnny, their parents, their sullen younger siblings, a few bewildered friends and a minister stood together in an overheated room at the Knights of Columbus. So it was no surprise that Bonnie had a baby seven months later. They were living in a one-room apartment two streets away from Bonnie's parents, and the new TV and the crib took up most of the living room. Johnny was working at the A&P, and at night he started bartending. No one really saw him any more--all you could hope for was to catch him on a break, and when you did, he just rattled on about the baby or how his car was doing. He was 19 years old and looked spent out. One rainy morning, Johnny had the day off from work, and said he was going to get the tires changed on the Chevy. That was the last Bonnie ever saw of him. Some of his friends got letters, his parents got cards. Johnny had gone out to California, and was doing all right there, at one point selling cars in San Bernardino. After a few years, Bonnie stopped thinking that he was coming back. She thought about telling the kid that his father was dead, and once thought about saying Johnny had died in Vietnam, but realized the times wouldn't match up. But the kid never showed much interest, sensing that even the mere suggestion of Johnny made his mother flinch. He seemed content to let his father be a vague rumor. Bonnie got a divorce, using Johnny's embarrassed parents as intermediaries, and eventually married a guy who had graduated two years before her, and who had hired Johnny at the A&P back then. One spring afternoon in 1985, at the Vince Lombardi rest stop on the New Jersey Turnpike, a young man in a jean jacket was kneeling to help steer his daughter, who had just started to walk, towards the Roy Rogers counter, when a man well into his forties, wearing a dumpy red sweatshirt that made him look older, nearly collided with them. Johnny apologized to his son, who had looked up at him annoyed, and then cut away, heading back to his car. Titus Turner was best known as a songwriter--he had written "Leave My Kitten Alone" and "All Around the World"--but he had a sporadic career as a performer as well. 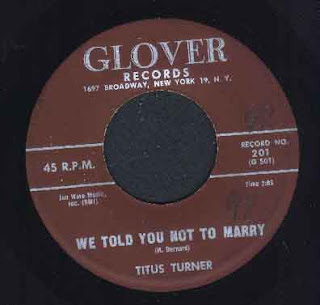 In 1959, he signed with Glover Records, and his "We Told You Not to Marry" was Glover's rush-job answer record to Lloyd Price's "I'm Gonna Get Married." (Turner was evidently the go-to guy for answering Lloyd Price records--earlier in '59 Turner had made "Return of Stagger Lee" for King.) The Miller Sisters provided backing vocals, and at times seem ready to take over the record completely. Released as Glover 201; on Hy Weiss Presents Old Town Records. Odea Matthews was a prison inmate whose crime no one remembers; this recording, in which Matthews is working on a sewing machine as she sings, was made in Angola, Louisiana's state prison, sometime in '59. On Angola Prison Worksongs. First heard this one on Tofu Hut ages ago. Laurel Aitken, Boogie in My Bones. Theophilus Beckford recorded "Easy Snappin'" sometime in 1956, but the track didn't get released until three years later. You could call it, as some have, "year zero" for modern Jamaican music. And you can hear, in its birth spasms, the skanking rhythm, Jamaica's pulsebeat. Beckford was attempting to imitate Rosco Gordon, a bluesman who made a number of great, raw records for Sun in the early '50s. 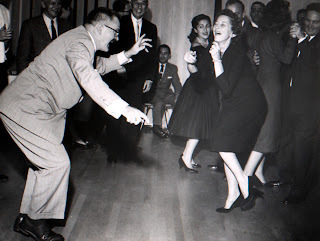 Tracks like Gordon's had become hugely popular in postwar Kingston, featured at "sound system" dances, essentially open-air discos at which a DJ played the latest American discs for hours. Wynonie Harris' "Blood Shot Eyes" was played year after year, for example. By the late '50s, homegrown records had begun to replace Yank imports, in part because the hard R&B records that Jamaicans loved were falling out of fashion in the U.S. (and Jamaican audiences had never taken to rock & roll or electric blues, among other styles). So at some point in '56, Theophilus Beckford sang and played piano at a session manned by a young DJ named Clement "Sir Coxsone" Dodd. Beckford, imitating Rosco Gordon's piano style, a rolling shuffle that heightened the second and fourth beats of every bar, further emphasized the afterbeat, giving the track its drive and unusual rhythmic sense. Beckford, who kept performing and recording as ska gave way to reggae in the '60s and '70s, was murdered in Kingston in 2001, slain by a hatchet blow to the back of the head. "Easy Snappin'" featured Rolando Alphonso (ts), Rico Rodriguez (tb), Cluett Johnson (b), Ken Richards (g) and Ian Pearson (d). Recorded at Federal Studios in Kingston and released as a Worldisc 7" single; on It's Ska Time. Laurel Aitken, born in Cuba in 1927, had moved to Jamaica by the late '30s. Aitken began as a calypso singer, working the Kingston docks and getting by singing for tourists. In 1957, he began recording R&B records for a small label called Caribou, and attracted the attention of a British expatriate named Chris Blackwell, who was looking to record local Jamaican music. "Boogie In My Bones"/"Little Sheila" was the first-ever single issued by Blackwell's label, which would become Island Records, and was reportedly recorded after hours in the Radio Jamaica studios and using primarily white Canadian backing musicians. Rosco Gordon was again a primary influence, as Aitken's singing was modeled on Gordon's phrasing. "Boogie" is far less radical than "Easy Snappin'"--the off-beat is less pronounced, and the feel is much like an early '50s American R&B record, while the sax and guitar solos are far more polished than those in "Easy Snappin'"--but for Jamaican audiences, it was exactly the type of record that they couldn't get from the U.S. any longer, and it became a huge hit. In the early '60s, Aitken relocated again, moving to the UK, where he became ska's greatest ambassador, and a major cultural presence in the expat Jamaican community. 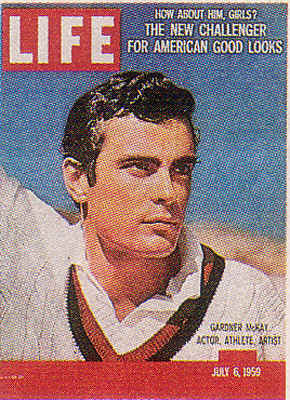 He died of a heart attack in Leicester in 2005. "Boogie" was initially released as R & B GRC 5935-A in October 1959 and later released on Starlite in the UK. On Ska's the Limit. Both tracks are also found on the box set Tougher than Tough, the greatest overall ska/reggae compilation ever made, and which inexplicably has gone out of print. Cannonball Adderley Quintet, You Got It! Modern Jazz Quartet, Odds Against Tomorrow. Throughout October 1959, the Cannonball Adderley Quintet was in residency at a club called the Jazz Workshop, in the North Beach district of San Francisco. One night Dmitri Shostakovich, looking to hear for the first time "authentic American jazz," walked into the club and sat with his entourage for an hour, listening to the quintet. He said nothing, but sometimes clubgoers saw him smiling, and during a Louis Hayes drum solo Shostakovich leaned forward at his table, as if drawn to the stage by sheer magnetism. 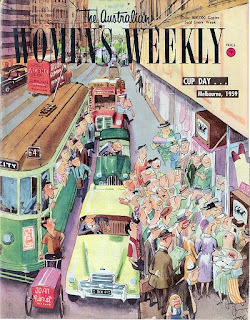 Shostakovich wasn’t the only one -- on the weekends in particular, the crowds for the Adderley Quintet were such that you couldn’t physically get into the club unless someone else left, and so people stood in the street, blocking traffic, trying to hear the band. Julian "Cannonball" Adderley had spent much of 1957 through 1959 playing in the Miles Davis Sextet until he left to form his own group, which consisted of his brother, Nat Adderley, on cornet, Bobby Timmons on piano, Sam Jones on bass and Hayes on drums. Observing Davis, with whom he recorded such records as Milestones and Kind of Blue, Adderley had increased the use of space in his performances, and narrowed the scope of his solos while deepening their intensity. In Cannonball's composition “You Got It!” rhythmic drive and ambition (the way Hayes seems to be a beat away from veering off into his own world) is matched by solos that, while still intricate, seem to be striving more for emotional resonance than sheer exuberance. (Nat Adderley's cornet solo in particular.) Night after night at the Jazz Workshop, the entire club would be stomping along with the beat. Recorded at the Jazz Workshop in San Francisco on October 18-20, 1959. On the essential In San Francisco. A world away, the Modern Jazz Quartet was making music for bad dreams. 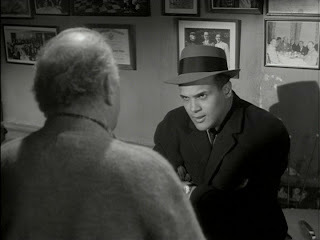 "Odds Against Tomorrow," written by John Lewis as part of his score for the Robert Wise film of the same title (a strange late noir starring Harry Belafonte), is the MJQ at its most austere, haunting and sublime. Many of the MJQ's tracks could be described as extended conversations between Lewis on piano and Milt Jackson on vibes, and "Odds" begins with Lewis ruminating, repeating the same figures over and over again, while Jackson bends notes, as if he means to interrogate Lewis, or muse along with him. (As Gary Giddins wrote, Jackson began his career as a singer, and there's a haunting vocal sound to his vibes playing in this performance.) Percy Heath on bass and Connie Kay on drums testify quietly. The whole piece is a crystalline marvel. 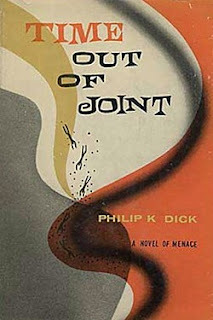 Recorded October 9, 1959; on the film's soundtrack. Irma Thomas, (You Can Have My Husband But Please) Don't Mess With My Man. Meet Ms. Irma Thomas, who has one thing to say to you ladies: do what you want with her deadbeat husband, but leave her lover alone. But my man keeps me in steaks, now ain't that nice? 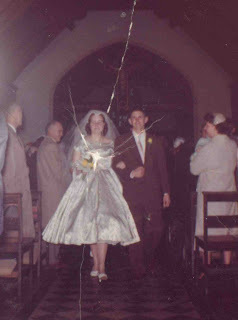 Thomas, born in 1941 in Ponchatoula, Louisiana, knew something about husbands--she had had two before she was 19 years old, and four kids to boot. As a teenager, she had sung in a gospel quartet at the Home Mission Baptist Church, and was working as a waitress in a New Orleans club when bandleader Tommy Ridgley discovered her. Soon, she was singing regularly with Ridgley's band, which led to her being fired from her waitressing job. "Don't Mess With My Man" was Thomas' first recording, a powerhouse single for the newly-founded New Orleans label Ron. Ron and its sister label, Ric, were both owned by Joe Ruffino--these labels, along with the just-formed Minit, represented a new wave of New Orleans indies that would produce some of the heaviest, rhythm-saturated and most purely enjoyable records of the allegedly "fallow" 1959-63 period. Recorded in late '59, released as Ron 328 c/w "Set Me Free," and charted in early 1960; on the aptly-titled We Got a Party. Don French, Lonely Saturday Night. As ominous as it is ridiculous, Don French's "Lonely Saturday Night" captures a certain aspect of adolescence--the belief that a temporary bout of misery is somehow eternal. The singer doesn't have a date for Saturday night, as the girl he likes stood him up. But as the song goes on, he moves from desperation to panic to, eventually, near-hysteria, with French's (at-times comically) deep vocal countered by dry guitar and minimal bass. 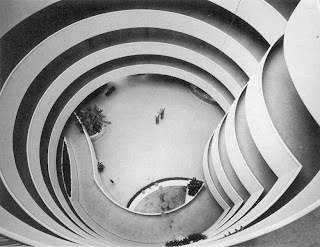 The track goes full-tilt berserk in the bridge, when French, after writhing with jealousy upon seeing happy couples walking by, envisions his female counterpart, just as miserable as he is, but separated from him. Forever! But don't worry too much--the b-side, "Goldilocks," finds French hanging down on the docks, back in the game. French demonstrates the limits of half-hearted research: all I managed to find is this site, which has him born in 1940 in Media, Penn. (which I'll take as fact, for why would you make up the place of birth for an obscure '50s pop singer?). French apparently made only two singles--"Saturday Night/"Goldilocks" and the latter's possible sequel "Little Blonde Girl." And then down the memory drain he goes. Released in March 1959 as Lancer 104. "Saturday Night" is on Golden Age of American Rock and Roll Vol. 4; "Goldilocks" is on Solid Stroll Vol. 2.